Why the accounting and bookkeeping services are in great demand and who has to provide it? We provide accounting and bookkeeping services for more than ten years. Gained experience allows us to provide them at highest quality within the expert staff. also including operating commercial banks. To a foreigner, especially during the first years of residing in our country is very difficult to manage accounting and bookkeeping own business himself. He need to know Lithuanian language, legislation of the Lithuanian Republic, as well as understand accounting and bookkeeping principles and requirements. And after some passed time to obtain a qualification of an accountant. Keep in mid, that failure to submit annual or interim reports or failure to pay taxes on time will result in troubles with the state or private authorities. 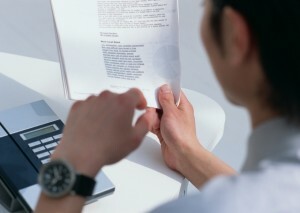 Therefore, each Lithuanian company must have its bookkeeper or the company providing accounting services. Which one also help in preparation of all needed reports on purpose to submit them to national authorities. Also accounting services company advise on what taxes you must pay, and help to represent Your company in the Lithuanian Migration Department or other institutions. After registration of the company in Lithuania, or in case You already have an own business in Lithuania, our accounting consultants on business immigration to Europe will offer You accounting and bookkeeping management under special and very attractive terms. Our accountancy services specialists and accountants are well aware of the national tax system, with the Standards of Business Accounting and International Standards of Accounting. So You can be calm about Your company’s accounting. We are able to respond into causing questions, so You will find out all concerning answers and information immediately without any postpones. Analysis of company financial indicators and presentation of conclusions. All the conditions, concerning bookkeeping and accounting services and prices will be discussed during the meeting. So, we hope for mutual and beneficial cooperation and partnership !